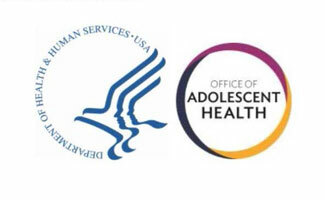 The University of Massachusetts Donahue Institute has been awarded a new contract from the federal Office of Adolescent Health (OAH) for Providing Capacity Building Assistance to OAH Teen Pregnancy Prevention Grantees. UMass was selected along with four other national providers, each responsible for bringing their particular expertise to support grantees in five different priority areas. The grant to the Institute is for $3 million over five years. As national provider of “Community Mobilization and Sustainability” capacity building assistance, the Institute will help 84 OAH grantees across the country to leverage their local community resources and adopt creative strategies for sustaining their programs both during and after their federal contract has ended. Assistance will be provided at local, regional, and national conferences and trainings, as well as through coaching, mentoring, peer-to-peer support, and an array of virtual learning approaches. The other four national providers offering selected expertise include: Engender Health, New York (Program Implementation), The Children’s Hospital of Los Angeles (Safe and Supportive Environments), Regents of the University of Michigan (Linkages and Referrals to Youth-Friendly Health Care Services), and Youth Catalytics in Vermont/Washington D.C. (Communication and Dissemination). “We are proud of this award to the University of Massachusetts. It is significant that twice in only eight months the UMass Donahue Institute has been recognized by a federal agency for its expertise and the training and technical assistance it can provide to vital social service programs not just here in Massachusetts, but across the country,” UMass President Marty Meehan said. The Nonprofit Funding & Fiscal Solutions group at UMass Donahue Institute provides customized consultation, coaching/mentoring, and hands-on intervention designed to help sustain and strengthen non-profit organizations. The UMass Donahue Institute is pre-approved to offer a variety of options for streamlined, simplified contracting both within Massachusetts and at the federal level. This is an official page/publication of the University of Massachusetts.